Need a plumber in Fairfield or the surrounding district? One you can totally depend on? We won't disappoint! That's because owner Daniel has the experience that is really essential for doing the most professional job possible. Daniel has been plumbing for 30 years and running his own successful business for the past 15 years. So there's not much he hasn't come across in the trade over this time. It's this experience that can save you a lot of hassle. When called to a maintenance job it's highly likely we have seen something like it before and that means we know what to do straight away. While this should be a given for any plumber you call in Fairfield, it isn't. And if you've ever experienced shoddy workmanship, you'll know how frustrating and time wasting it is - not to mention expensive! 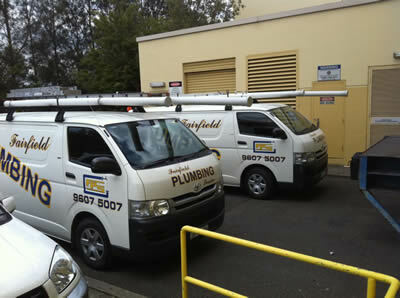 We are also the plumber for Fairfield who specialises in drain blockages and backflow prevention. We have the tools needed to find the source of the problem quickly so can have the problem resolved in no time. A reputable plumber for Fairfield should also understand and adhere to all of the Council regulations. Because Daniel has been working in the area for so long he and his team know the City well and you can be confident that all their work complies with the legislation and is of the highest standard. When you call us you can also be sure that our prices are extremely competitive. We want you to keep coming back to us for all your maintenance and drainage issues so we are upfront and honest with our pricing system. Don't risk it with the others, call the reliable plumber for Fairfield on 02 9607 5007 or submit the form above and we'll get back to you as soon as possible.